I always wanted to try the food at Coliseum Cafe which are the legends cafe first located in Jalan Tuanku Abdul Rahman that operated their business since 1921. 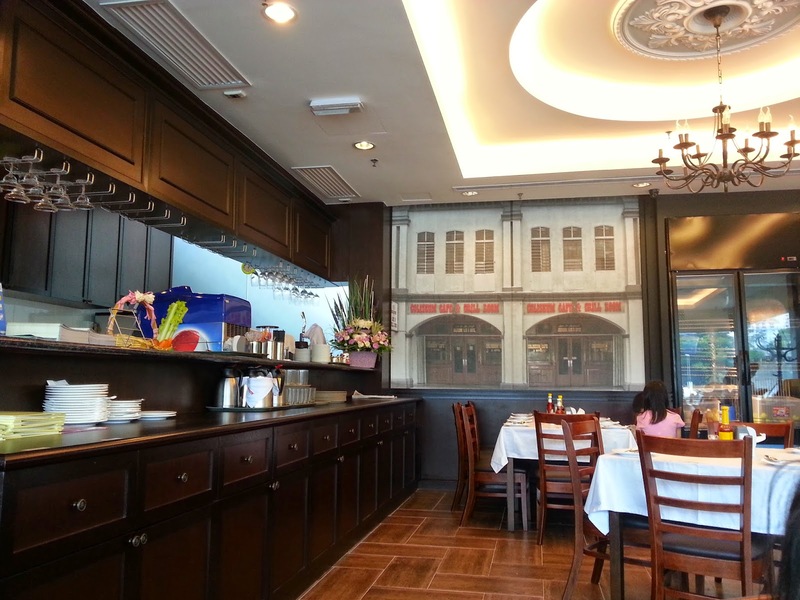 Surprisingly, now we can find this restaurant branches at Midvalley, Sunway Pyramid and Plaza 33. 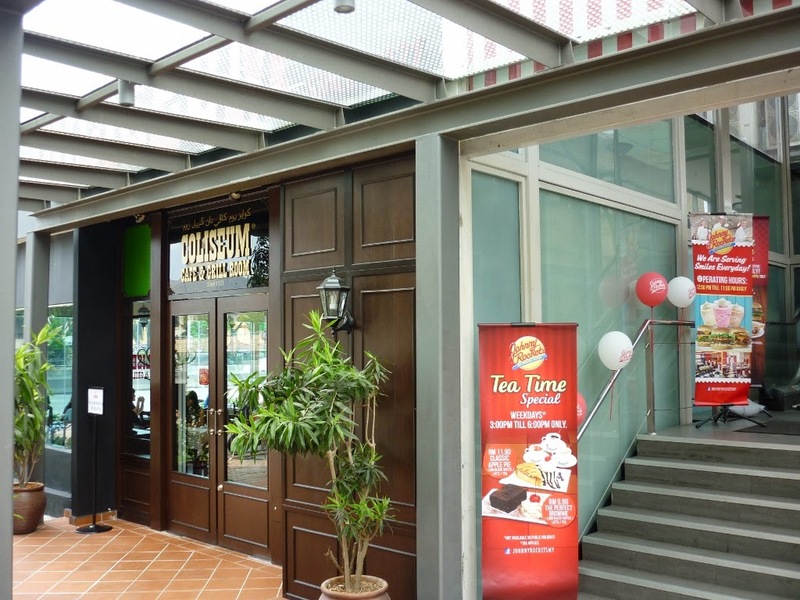 This restaurant is being awarded as the "Longest Operating Western Colonial" Themed Restaurant in the Malaysia Book of Records. This is my first visit to Coliseum cafe and I was checking out the directory to locate this restaurant. It took me 10 minutes walking up and down at the ground floor and turning around until I reach Sushi Zanmai and the the staff told me I need to walk back to the entrance and walk towards Celcom building which is opposite. I managed to locate this restaurant finally! Just beside Johnny Rockets and if you are coming from the main entrance you can spot it easily. Coliseum cafe decoration is simple and classic.. Greeted with welcome by the staff, took our orders and they do come to our request when I ask for the kids cutlery. Then, the staff turn away and started to take other customers orders and forget my request. I have to call another guy and ask again for the cutlery. This happen twice. They seems to answered you that they are going to take that tissues / cutlery, but then they tend to forget and I have to ask again.Hmm..they are not alert enough?? or they purposely ignore us? 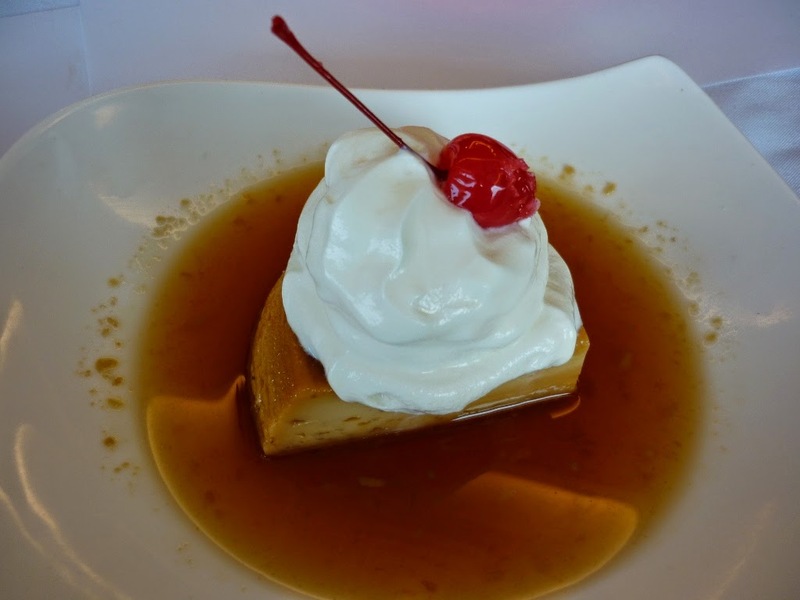 Caramel Custard Pudding RM 7.90 - My girl pick this desserts probably because she is crazy for the cream. I will have to said that this desserts is overly sweet. Custard dessert with a layer of soft caramel on top. Traditional dessert that are loved by people of all ages, but not for me. 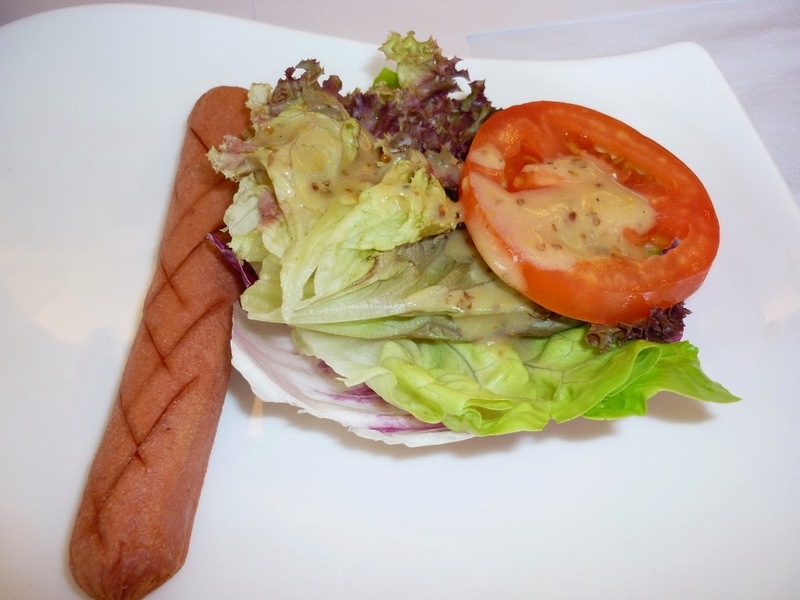 Hot dog (RM 2) - The one and only hot dog with salads.My girl favorite. 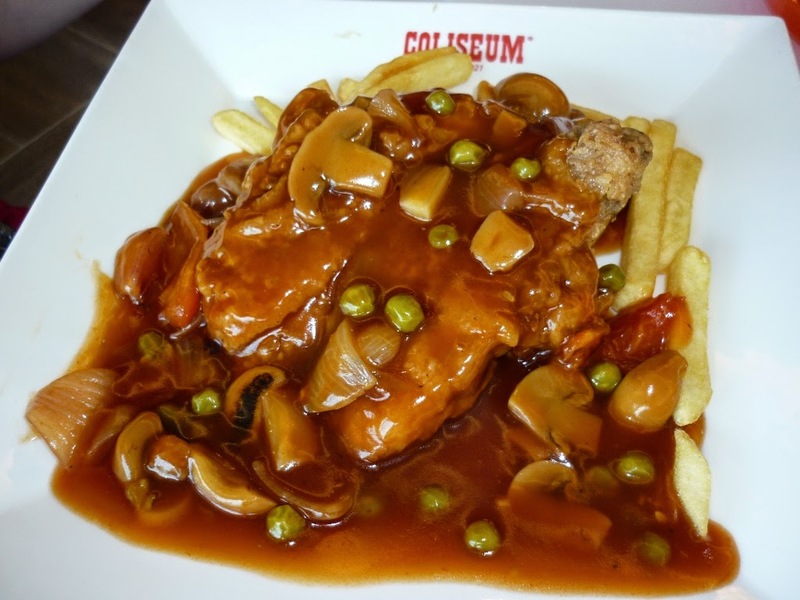 I ordered Coliseum signature dish most popular among all - Hainanese Chicken Chop. The deep fried chicken thigh was tenderly done with crispy layer on the outside and juicy meat inside. 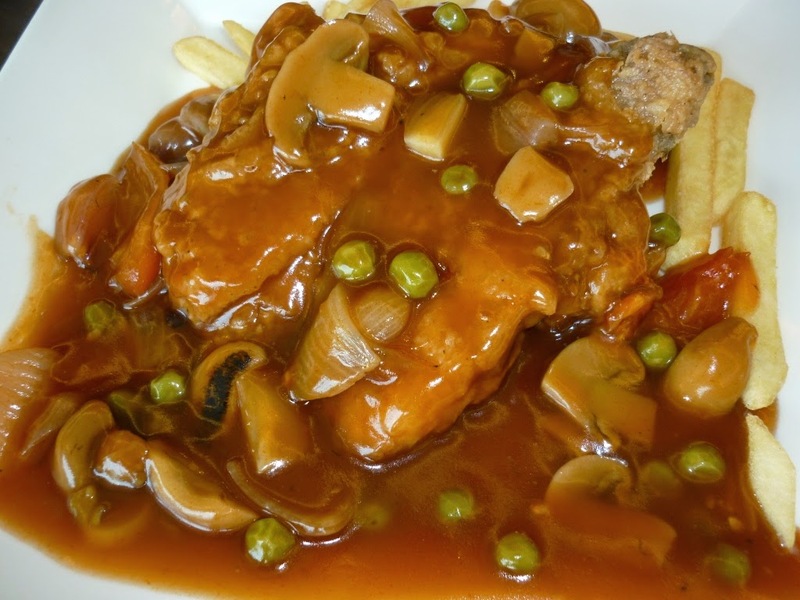 Dressed with thick brown sauce that is so appetizing along with other condiments of mushrooms, carrots, peas, fries, onions and tomatoes. Comfort Western food that I will surely recommend. I will said their food is overpriced, not that what I expected to be really damn good. Anyway they greet and said "Thank You, Please come again" with a smile when i left the restaurant.